The number of International tourist arrivals in France totaled 86.9 mil in 2017, making it the most visited country in the world. No country embodies the grandeur of European travel quite like France. From the international artistic reputation of Cannes to the luxurious leisure of the Riviera, France has demonstrated a remarkable capacity to overcome a tumultuous history by enriching the quality of life with those experiences. The diversity of the country will leave you stimulated, satiated and asking for more when you finally treat yourself and travel France! Throughout European history, France has been the undisputed pioneer of social revolution and cultural renaissance. An enlightened society with classic charm, France will guide your journey seamlessly through centuries of power and progress, defeats and suffering, all of which possess an essence of timelessness. ​Travel France in July and witness Bastille Day, a commemoration of the destruction of the prison that King Louis XVI and his predecessors used to quiet social disruption and censor or torture public irritants. The day is symbolic of the value of social freedoms and democratic governance to the French people. The main celebration takes place in Paris at the former site of the Bastille. The French countryside offers some of the most enchanting and picturesque towns and villages in all of Europe. ​Go further back in time and explore theFrench countryside, which is rich with Roman Ruins dating up until the 5th Century. Gréoux-les-Bains, in the south of France, is known not only for its hot springs but also for the ruins of Roman bath tubs and swimming pools that depended on these springs as a source for hot water. Aix-en-Provence is a well known town central to France's wine and art culture, but also shares a Roman past as an ancient city with two aqueducts demonstrating the technological prowess of the Roman people. For a more unique experience, travel to the Loire Valley, a bastion of medieval castles, and have yourself a true Châteaux experience. Many of the ancient and classical castles have rooms available for rent, mainly during the summer season. There is no better way to be immersed in French history; plus, the castles often offer the best of the surrounding wine region. ​ The Hotel The Originals Domaine de la Tortinière Castle. Not only is France a gateway into Europe's enchanting history, the country that is world renowned for its irresistible food, fabulous wines and sophisticated lifestyle does live up to its reputation. Visit Nice to enjoy the coveted Riviera way of life while avoiding the throngs of tourists that swarm to St. Tropez just up the coast. The Delicious Macarons of Paris. Why not book a food tour in Paris the city of lights? Why not book a food tour in Paris? Feel what daily life is truly like within this legendary city by uncovering the local much loved spots, meeting the people which bring them to life and sampling the dishes everyone in Paris is speaking about now. From 2014 over 20,000 guests were welcomed on these extraordinary culture and food tours in Prague. From combining food with the local area's Czech beers, to sampling the very best old-fashioned foods of Prague, you'll be left feeling like a true insider within this historical city. You will be introduced to the people responsible for these renowned dishes and beverages and following hearing their remarkable stories, you'll be wishing to return for more. Learn the history and local everyday life of Prague through its dishes on these iconic food tour in Prague. These Czech beers will be coupled with both regional and international snacks which draw out the distinct qualities of every glass beer. ​Discover tucked away cathedrals, traditional art and regional jewels hidden in backstreets and alleyways. You'll discover landmarks certainly never seen in the travel books and leave Prague behind feeling like a true insider. Our 4-hour walking food excursion of this remarkable city takes in a lot of traditional food samplings from incredible, locally-loved food stops. 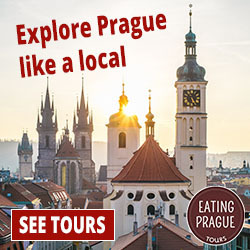 You'll savour some extraordinary Czech treats, get a genuine understanding of why Prague is well-known for its sandwiches, and take in some significant past history in a bistro that dates back to the start of the 20th century and has indeed played host to loads of popular historic figures. ​Kick back from being a tourist and adventure the real Prague with us. Prague is associated with beer, and still, only a handful of tourists try anything beyond the pilsners that the Czech Republic is so famous for. Eating Prague's 4-hour beer excursion begins in the beautiful vegetation of Letna Park's beer garden, and proceed right trough Prague's spectacular architecture, filled with excellent stops for a beer. You'll try everything from modest Czech pilsners to much heavier darker lagers and also unheard-of local craft beers. And obviously, you will not leave starved! These Czech beers will be coupled with both regional and international snacks which draw out the distinct qualities of every glass beer. Adventure a secret - and tasty - side of Prague lots of people miss out on! Invest an enchanting evening delighting in this lesser-known, middle aged part of Prague located all over the foothills of Prague Castle. Included in an all-inclusive package will be a round-trip airfare from a departure destination, transport between airport and your hotel, your hotel fee and all meals and drinks. Land and waterspouts might be included as well. Included in an all-inclusive package will be a round-trip airfare from a departure destination, transport between airport and your hotel, your hotel fee and all meals and drinks. This is a good deal if you have teenagers because you don’t have to worry about keeping them fed. Special deals, featured resorts and more. Check out our latest deals and offers. All-inclusive packages will also normally include a couple of extras, such as a free tour or two, and on-sight recreation. All-inclusive means that once you get to your destination, you don’t have to spend any money except on souvenirs of your trip unless you go outside your resort. These vacations are a no-hassle way of taking a vacation and being able to relax and enjoy it without figuring out how much your accommodations will cost and finding the right place to stay. Prices vary and depend on the time you plan to spend at the resort and what amenities you want or expect. There are many advantages of an all-inclusive vacation package. The buffet-style food gives you a huge choice in what you want to eat, is easily available and will allow you to sample different varieties of food you normally wouldn’t try. The service is always helpful and you will find many activities included in the package. Many sights have pools, snorkelling, water activities, tennis courts, or golf courses. These activities are free and part of the package. One of the best advantages in buy an all-inclusive package to a major theme park such as Disney World is they have so many activities that are included. For instance, water parks, miniature golf, canoeing, biking, and horseback riding. The best part is they have free shuttles back and forth between the different areas so you don’t have to worry about transportation. No need for the extra expense of renting a car. The buffet-style food gives you a huge choice in what you want to eat, is easily available and will allow you to sample different varieties of food you normally wouldn’t try. If your family includes older children, you might enjoy an all-inclusive package such as a skiing adventure in the Rockies, a tropical beach vacation at one of the Sandals all inclusive resorts, or a trip to a “dude” ranch in Arizona. No matter what your tastes are, you can find an all-inclusive vacation to make everyone happy. There are a few cons to an all-inclusive vacation. You should explore your destination on-line and sometimes that still doesn’t tell the whole story. When you are booking your all-inclusive vacation, be sure you know exactly what all-inclusive means. Some resorts offer low prices but you are subjected to sales pitches to buy time-shares. What you thought would be an ideal vacation could turn into a nightmare when you realize that in some places, though it advertises no tipping, the workers still expect it. If they aren’t tipped, your service will be affected. Some resorts ban all tipping and you need to find out ahead of time which type of resort you are going to. All-inclusive has a nice sound to it, but be sure that where you are going is all-inclusive. Research on the Internet or ask for friends or family members recommendations. The authentic taste of Amsterdam - Since 2014, more than 20,000 guests went on these interactive culture and food tours in Amsterdam. The tour guides will reveal to you one-of-a-kind historic sights of the oldest areas and introduce you to the finest local food. You'll come to meet the people responsible for these legendary dishes while listening to their remarkable stories. 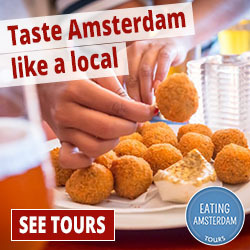 ​Each of the EATINGEUROPE tour guests will leave Amsterdam behind, feeling like a true insider. ​As the stars starts to twinkle you will wander through the Ould West area - a community characterised by stylish architecture, tranquil channels and unconventional bars and shops. It seems like a small village-- although it's right in the soul of the city. You'll savour, munch, nibble, chat and have a good laugh and at the end of the night you will definitely know the true meaning of pleasurable moments spent among friends even if you do this tour solo. ​Discover Jordaan - a much loved 17th- century community, off the beaten track and far away from the rush and whirlwind of tourists. This 3.5-hour Jordaan Food Tour is a great deal more thank it seems: it's a guided food lover’s walk through the exceptional cultural and historical attractions of the Jordaan community; it's a significant meal in the form of loads mouth watering Dutch samplings from a lot of authentic food lover stops along the road-- all in one! This four hour Amsterdam Food & Canals Tour is in the form of a guided stroll through the unmatched cultural and historical attractions of Amsterdam. It also includes an hour-long, exclusive cruise through Amsterdam's world heritage channels. ​You will enjoy a sizeable dish in form of lots of scrumptious Dutch samplings from numerous authentic gourmet stops throughout the way - all in one! Check out EATINGEUROPE for more information or to make a booking. There are a number of ways that you can make flying with your young children not only easy, but fun as well. Are you the parent of an infant, toddler, or preschooler? If you are, are you also in the process of planning a trip that requires air travel? If you are, you may be dreading your upcoming flight. After all, complications are all that many parents can think of. Getting an extra seat for a child under two will cost money, but you may be able to get a small discount when contacting the airline in question. On the other hand, you will be able to have your own seat, which will be nice. Most car seats can fit into airline seats. Speaking of which, if you need to bring a car seat or a stroller, it will need to be scanned by airport security. As for strollers, they are a good idea, even for children who can walk. Most parents of toddlers are urged to give them a close look. Most airlines will require you to handover your stroller before boarding a plane. Once you arrive at your destination, your stroller should be waiting for you at the gate. Using a stroller makes it easy for you to move around the airport and quickly. This is ideal if you must hurry, like if you have short layovers. Also, be sure to bring some formula, juice, and snacks for infants, toddlers, and preschoolers. Although you will find some restrictions, most airport security officers will allow a child’s drink to pass through, as long as it is a small quantity only. As for older children, like toddlers and preschoolers, you should be able to buy juice, water, and snacks at an airport store past security checkpoints. Doing so is nice, as they are no security concerns about doing so. These items will have to be scanned through airport security, so try to leave anything, namely toys, at home that may cause complications or delays. Speaking of airport security, it is important to talk about the screening process and prepare your child for it. For many toddlers and preschoolers, the whole ordeal can seem a little bit overwhelming and scary. Your child will likely have to walk through the metal detectors themselves. If you are traveling with another adult, have one go through first, so that your child can walk towards a familiar face. You may even want to arrive at the airport early. This gives and your child the opportunity to watch others go through the screening process first. As for the flight itself, toddlers and preschoolers may love having a window seat. As for the flight itself, toddlers and preschoolers may love having a window seat. If someone in your traveling party is assigned a window seat, try to let your toddler or preschool sit there instead. As for the bag full of goodies you brought, refrain from giving everything to your child all at once. ​This is likely to reduce boredom. For children who may have their own seats, portable DVD players and laptop computers are advised. They are a great way to keep a fussy child occupied. If using a laptop computer, be sure not to choose a movie that will exceed the laptop’s battery life, as this may result in a very unhappy child. ​It is possible to do these three attractions in a single day providing you set out early and plan your day. We travelled north on the LZ-2 into the mountains in the north where we made our first stop at the Mirador Del Rio. This is a cafeteria cut into the mountains in the north and has the most spectacular views of the island you could possible want to see, so a camera is a must. Shortly after this we arrived at our second attraction, the Jameos del Agua. Enchanting, Mystical & Magical, the three most common words used to describe a place created as a result of a formation of gas explosions within a volcanic bubble. Over the years, seawater has flooded the tunnels so that eventually a lagoon has been left behind. A lagoon that is home to thousands of tiny white crabs that have become blind through many years of living in poor light, a lagoon that has a bar and a restaurant and even a nightclub three times a week ! Almost next door, we found our last attraction of the day - La Cueva de los Verdes, one of the longest volcanic galleries in the world at 6km long and there is surprise element to this tour which I cannot tell you about otherwise it would spoil your visit. You need to be reasonably fit and healthy as you need to climb several stairs and bend over in order to get under many low recesses. It is impossible to take a pushchair into the caves, so go prepared. ​This post may contain affiliate links to products which may lead to a commission for purchases made through these links. One can easily discover Switzerland by train with a Eurail Pass and tour through the snow-capped Alps, next to gorgeous mountain lakes and over rolling green hillsides. ​Switzerland is high up on the bucket list of numerous Eurail tourists. One can easily discover Switzerland by train with a Eurail Pass and tour through the snow-capped Alps, next to gorgeous mountain lakes and over rolling green hillsides. Switzerland's magnificent nature and captivating cities make this a country one do not wish to miss out on! Experience the best of Switzerland on a single trip with a Eurail Pass. ​Geneva is one of Europe's most cosmopolitan cities, and a true retail heaven. There is something for every one. Biking, hiking, boating, incredible skiing and much more. The shopping region is a 15-minute walk from Geneva's Central Station. Take the Golden Pass scenic route and journey side by side the glimmering waters of Lake Geneva right up to Interlaken, snuggled deep in the Alps. Interlaken might be known for its skiing, but there's something to do throughout the year. Visit the Trümmelbachschlucht below ground waterfalls or try some of the numerous outdoor activities like hiking, white-water rafting or skiing. There also is a glass-ceilinged cable car which one can ride into a 500-meter canyon and view the glacial waterfalls up close. Bordered by spectacular mountain views, Lucerne is well known for its preserved medieval architecture. for its preserved medieval architecture. Not just Switzerland’s largest city but also the trendiest and most lively. Zurich offers excellent food, endless shopping, and is home to the extremely popular Street Parade. Eurail Passes valid in Switzerland additionally include a variety of additional pass advantages, including cost-free and reduced boat crossings and scenic train rides. In this post i will discuss the basics about types of kids backpack available so you will be able to choose a suitable travel backpack for your child. ​As most people know, travel with children are never easy. You need much extra attention and preparation as well as time to think about unexpected situations that might occur. No matter where you are travelling to, effective forward planning is really needed to ensure that you and your children will enjoy every moment and return to home safely. I have compiled a couple of things to keep in consideration when looking for a new travel backpack for your child and i also have linked to some of the nicer kids backpacks witch is available online. Today, bag providers providing millions of kid’s bag colors and designs, which sometimes they have similar design to adult luggage but in smaller size. One of the most important elements of travel preparation is to prepare bags and luggage for your trip, especially prepare kid’s bags which you have to put extra effort in to prepare it as they may contain additional necessary gadgets for children. Today, bag providers providing millions of kid’s bag colors and designs, which sometimes they have similar design to adult luggage but in smaller size. Therefore, parents may interest to buy bags for their kids that match to their bags to represent the unique of family. Apart from that today kids luggage have similar functions as for adult ones, such as they usually have roller wheel to enable children carry bags by themselves. Some brands has even provided kids luggage have wheels that are gender based, so you can make sure that your kid will has the luggage that suitable for them. This is also benefit for kids in terms of when they grow up and then they love to carry their own bags rather than watch their parents carrying luggage for them. Some designs are specially made specific for gender, such as car-shape backpack special for boys and baby-shape backpack for girls. 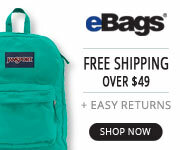 There are many types of kids bags to choose from, wide range of bags such as duffel bags, sport bags, backpacks with pockets for a radio or CD player are the most popular among them. For parents that have child who loves to read books or if your child has favorite toys and he/she wants to carry with them at all times. Parents should look for a backpack that will hold your child’s toys and/or books and also have attractive design to make them proud and happy when carrying. The most favorite type of bags and designs among kids probably backpack that designed in animal doll on the backpack. This could give very good feeling for kids because it’s like their favorite animal is hugging them. Apart from using animal dolls, some bags providers may use other stuff that kids love, such as cartoon characters, sports themes, flowers, dance, music, and space on a backpack to attract kids. Also it would be even better if kids can have their name appeared on a backpack so they can proud to carry the bag without encouraging from parents. Gorgeous Toddler and Kids Backpacks available from Bags! No other region is as uniquely diverse as the USA. Beachside utopias; an abundance of modern metropolitan centres and also a multitude of inspiring historic sites. The number of international visitors to the United States rose slightly in 2017 and totaled 76.9 million, up 0.7 percent from 76.4 million in 2016. Many of the world’s most spectacular National Parks and protected wilderness areas are scattered throughout the USA. Death Valley National Park, located in California’s Mojave and Colorado Deserts, is the hottest, driest and lowest (282 feet below sea level) place in North America, with summer temperatures averaging over 100 degrees Fahrenheit and annual rainfall under 2 inches. The best time to visit is mid-Spring when the weather is mild and the wildflowers are blooming. The soaring geysers and vibrant blue-green geothermal pools of Yellowstone National Park, Wyoming, make it the ultimate destination for the nature lover. Herds of the once endangered North American Bison graze the rolling grasslands and the mythic Grizzly Bear forages through pristine mountain forests. ​Travel the expansive protected lands and discover why this region is synonymous with the modern definition of wilderness. Get epic views of geysers, canyons, waterfalls, rivers, and wildlife, and see Yellowstone highlights like Old Faithful and the historic Lake Hotel on this tour. Click image for details. The American cities has an intensely multicultural atmosphere, which blossomed from the tumultuous history of the region. ​The diverse ethnic makeup of cities like New York, Chicago and Los Angeles has created profoundly rich art and music cultures as well as unparalleled international cuisine. Other cities like Washington D.C. tell a more intimate history of their specific regions through extensive museums, archeological sites and monuments. The USA is a bastion of fascinating cultural heritages, historic dramas and pristine wilderness. The blending and clashing of indigenous populations with sea-farers, explorers, slaves and religious refugees from the Old World has created the dynamic and wondrous landscape of the modern USA. The Griffith Observatory an important landmark in Hollywood. ​Out of the ordinary discoveries with these Paris food tours. The City of Light bursts at the hems with world dishes, organic treats, draft beer and much more. Leave behind Paris - feeling like a true insider.